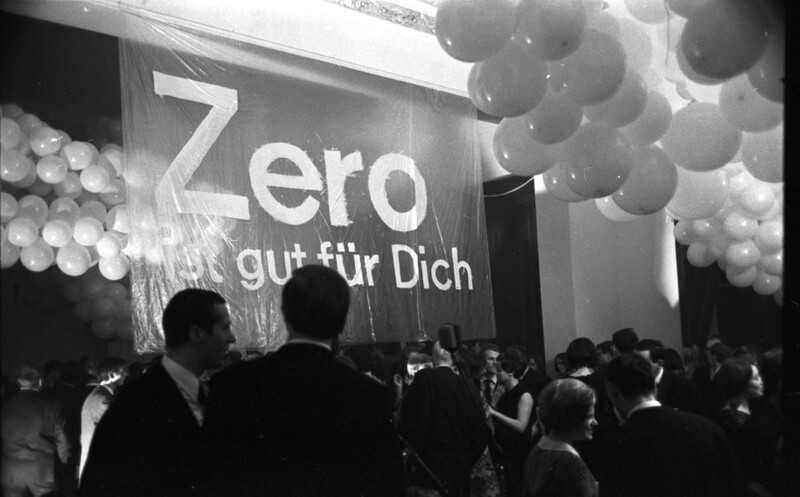 Fifty years ago, Düsseldorf ZERO artists Heinz Mack, Otto Piene and Günther Uecker celebrated the end of their long-standing collaboration with a “ZERO Midnight Ball” at Rolandseck station (Remagen) under the positive motto “ZERO is good for you”. 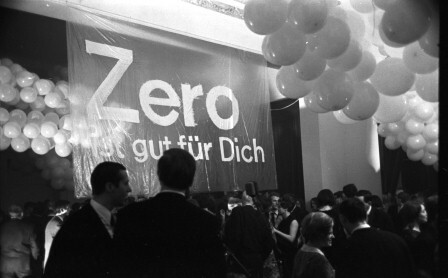 This was preceded by the opening of the exhibition ZERO in Bonn on November 25, 1966, which brought the three artists together for the last time in a jointly designed exhibition. ZERO was created in 1958 out of an initiative of the artists; fittingly, the end of ZERO came about through an enactment chosen by the artists themselves – an end that simultaneously represented a new beginning for them. 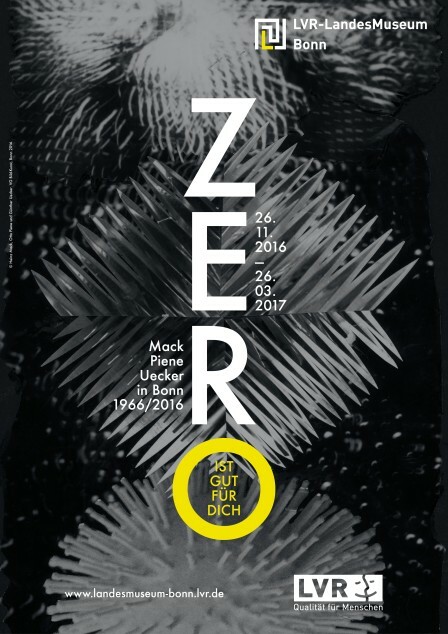 Based on the historic exhibition in Bonn, ZERO ist gut für Dich (ZERO is good for you) is an exhibition of select works of Heinz Mack, Otto Piene and Günther Uecker from the late ZERO years. The works are a quintessential reflection of the experiences the artists had gathered shortly before in the US. Their impressions of the metropolis New York had an especially strong effect on how they artistically dealt with light, space and movement. At the heart are three spatial, or rather multimedia installations from 1966. The installations of Heinz Mack (Zwischen Himmel und Erde (Between Heaven and Earth)) and Otto Piene (light ballet Hommage à New York (Homage to New York)), which were specially created for the exhibition ZERO in Bonn, are for the first time being presented again in their original form, with the addition of Günther Uecker’s Lichtplantage (Light Plantation). The exhibition is based on a research project of the ZERO foundation that was carried out with the support of the LVR (Rhineland Regional Association). 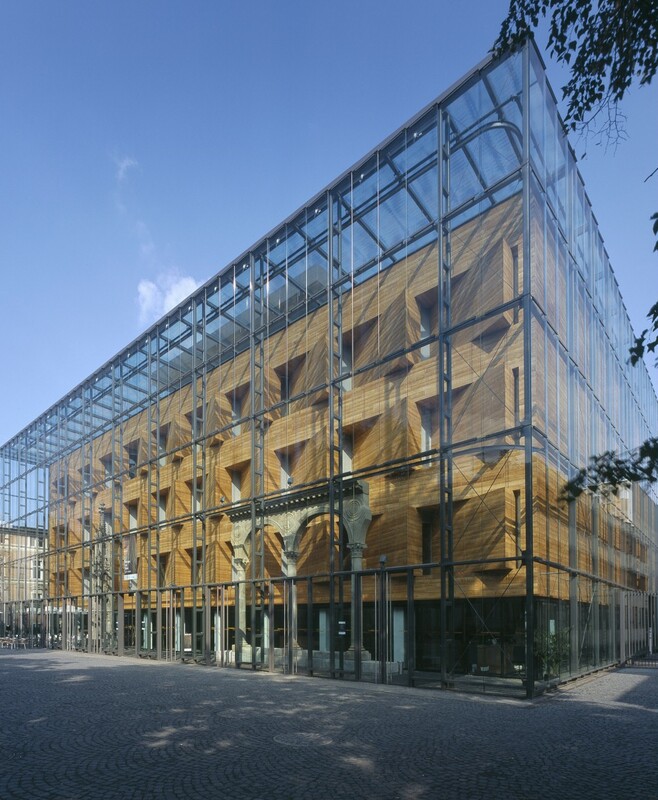 The project focused on the activities of the international ZERO movement, which had its origins in the Rhineland.